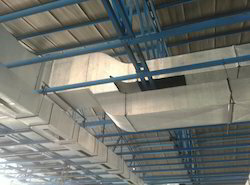 We are the leading service provider of HVAC Ducting Works to our valuable clients. Owing to the dedication of our sedulous professionals, we have renowned a reputed name in providing HVAC Ducting Works. Our specialized mechanical drafting team provides innovative and highly professional drawing for ducts, which are installed in various industries like cement, chemical, paint, fertilizer and automotive. We provide ducts of different sizes for varied industrial sectors. While rendering these ducting works, our professionals make use of ultra-modern machines and technologies. 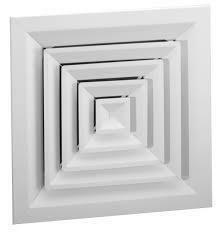 We are the leading maunfacturer of HVAC DUCT. Minimum Order Quantity 1500 Sq.ft. Air Conditioning Duct is a new material duct, its advantages such as energy saving, environmental protection, no pollution, light & easy to installing, fireproof, soundproof, nice appearance and long service life can not only meet the demands of duct material, but also avoid the disadvantages of traditional materials. The advantages of Haohai duct in performance, cost and manufacture make it true to design and construct a modern air conditioning system. 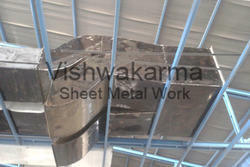 Feature: 1)Stainless steel 2)Damper or fliter is optional. 3)Core is removeable,easy for installation and cleanliness. 4)Mill finish Functions: Versatile supply air diffuser for constant or variable air volume heating, cooling, or ventilating; Swiftly balancing the temperature of airflow and slowing the velocity of airflow avoid dust wind.